When you read text in the English language, you read it from left to right. That’s just the way it’s always been done. It’s the way we learned to read when we were kids, and it’s the way most English books are written. Sometimes it’s fun to play with word placement, but you have to do it in a smart way. These people didn’t do it in a smart way, and as a result, we have no idea what they’re trying to tell us. Left no turn! Right only turn! Alright, if you say so. This sign is pretty confusing. 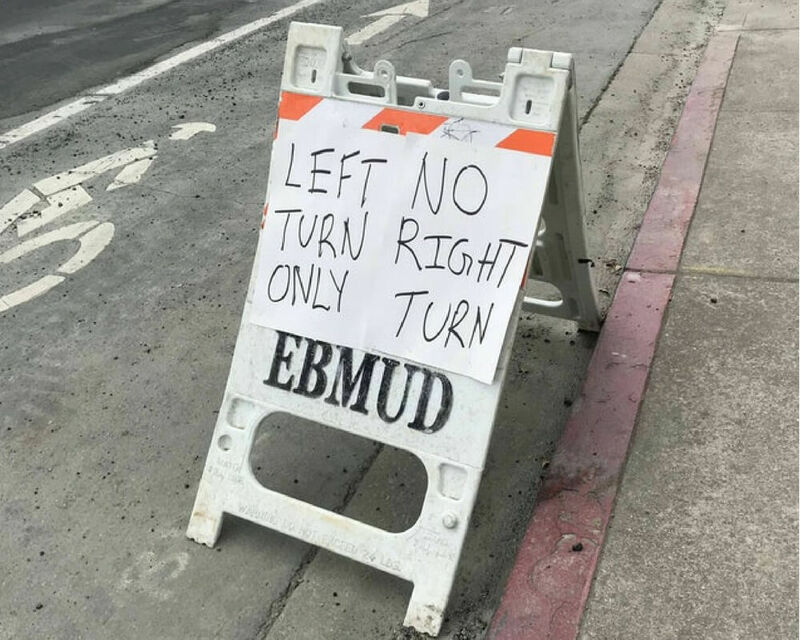 I don’t know what “EBMUD” means at all. Does it stand for something? Is it a word in a language other than English? Well, I’m just going to turn right. If I’m not back in five minutes, come looking for me. I think you need to be Robert Langdon to decipher this code. I could search the whole Louvre backward and forward and never understand what everybody has, or what this is my normal dose of, or what “this” even is. Why is The Imaginarium trying to mess with my brain? 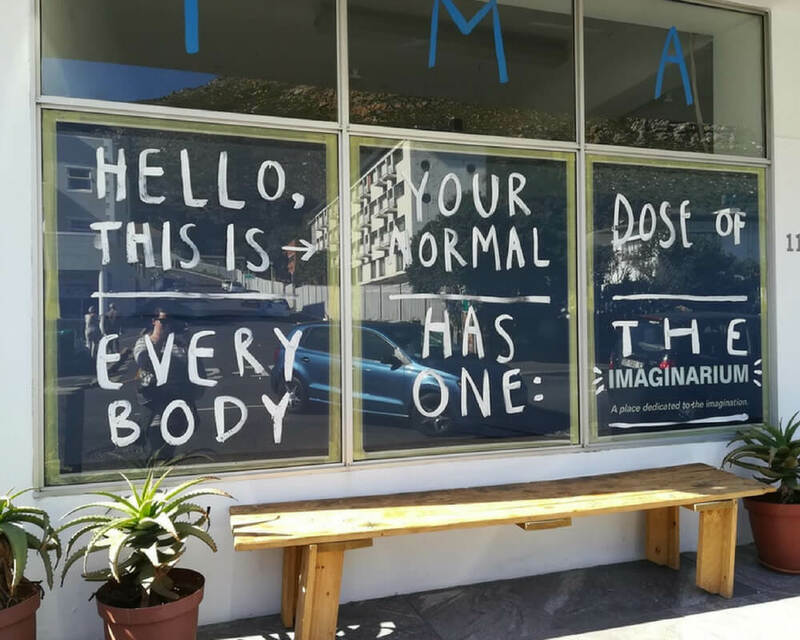 What is The Imaginarium? This started off kind of ok, then words started getting split up and going the wrong way. 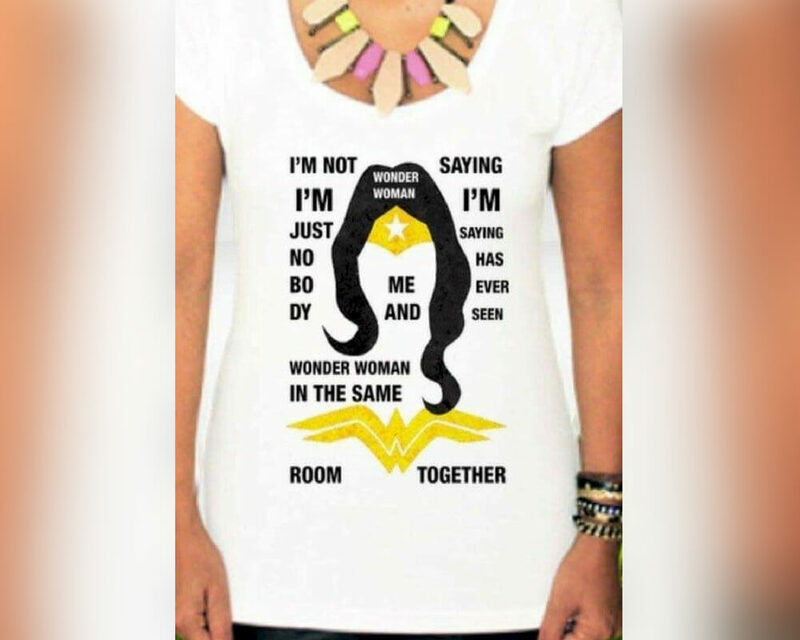 I think the first problem is that this phrase doesn’t make sense and it doesn’t belong on a t-shirt. If you decide to get this shirt, and people start staring at your torso with a confused look on their face, it’s not your body that’s weird; it’s the shirt. There is a big difference between those two statements. 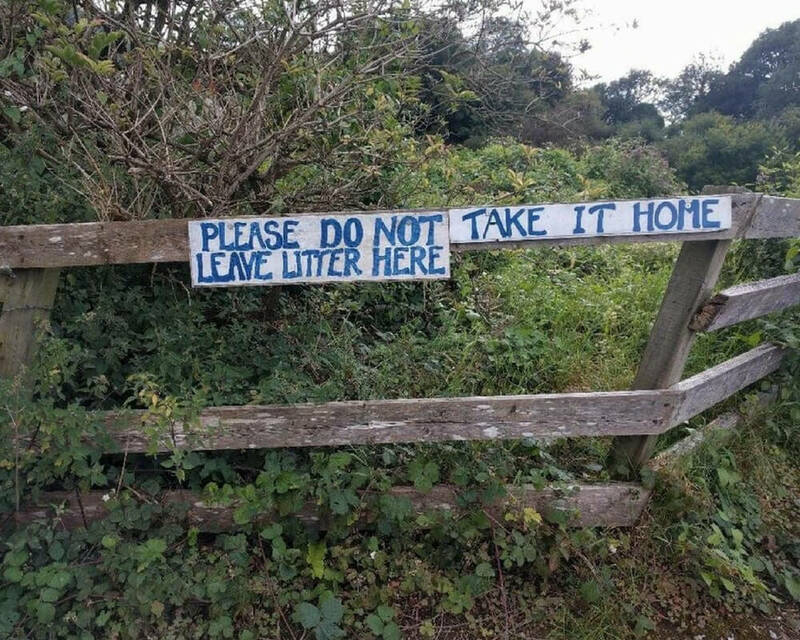 I’m inclined to believe that it’s the latter just because I know how forest people generally feel about litter, but on first glance, I definitely thought I was supposed to leave my garbage there. This almost sounds like Yoda. 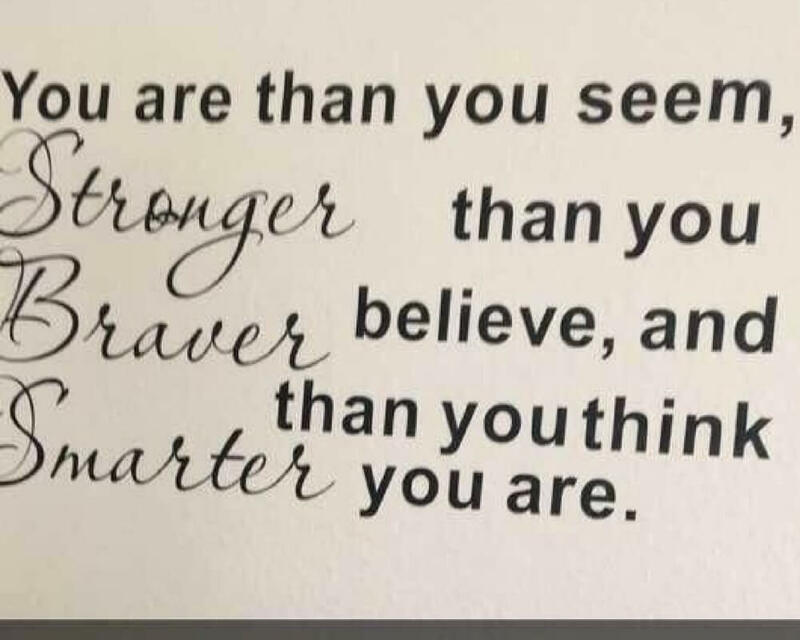 Than you think smarter you are! mhmhmhm! I felt like I decoded the Rosetta Stone when I finally figured out what was going on here. 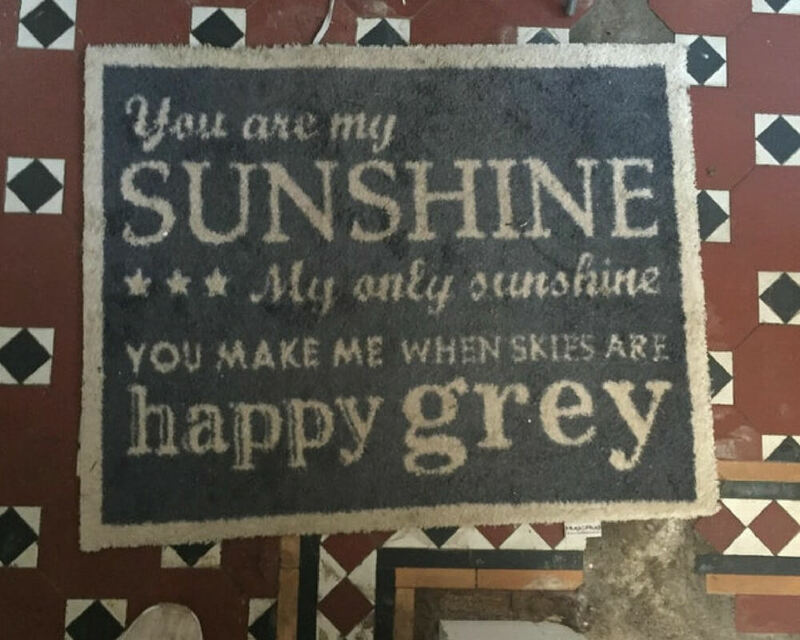 This bad typography could literally give someone a stroke. If you’re prone to seizures, attempt to read this at your own risk. 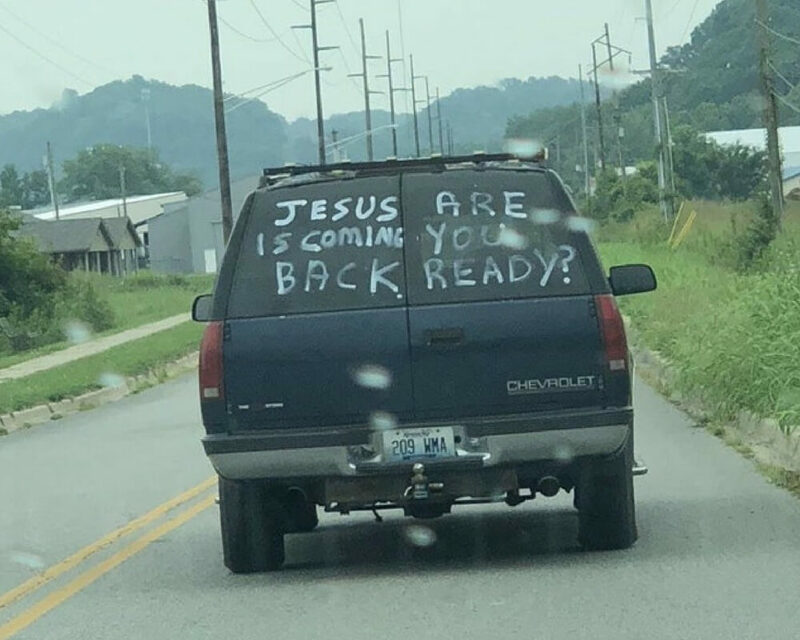 “Jesus are is coming you back ready?” I am not back ready. I am not any kind of ready. This van looks about as safe as a river full of crocodiles. Kids, please stay away from vans that look like this one. Stay away from all strange vans, but especially vans with confusing word placement. 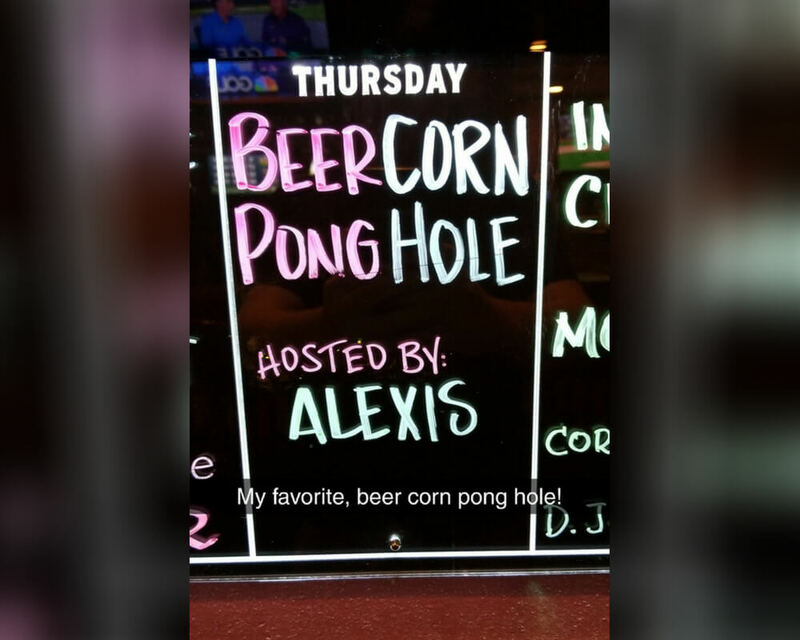 BeerCorn PongHole! Absorbent and yellow and porous is he! Everything about the second line of the SpongeBob song also applies here. Corn is yellow. Holes are the definition of porous. I don’t know about absorbent, but I’m sure it fits in there somehow. So… Is There A Fire? 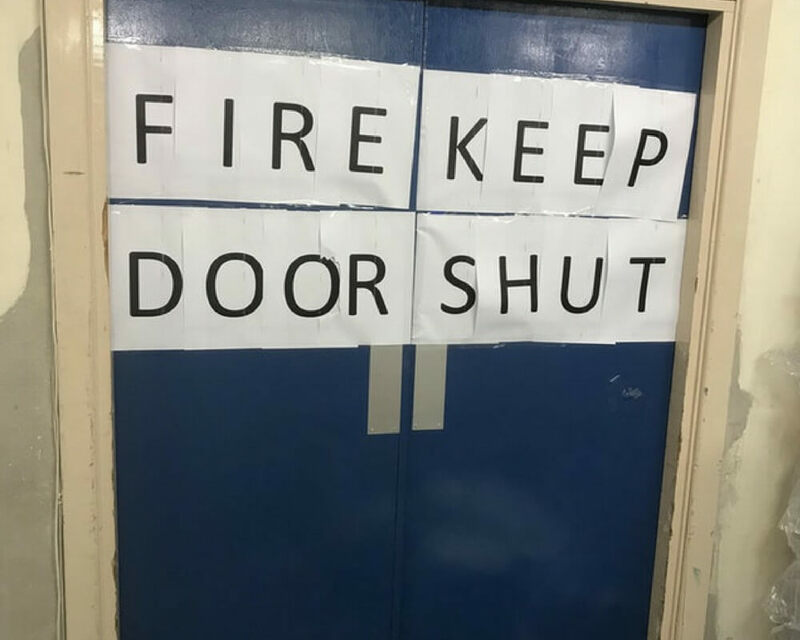 If there was a fire, then I definitely would want to keep that door shut. But maybe if there was a fire, the fire would burn off the paper, and then the only way to know about the fire would be to see or smell actual fire. I think we should just keep all doors shut all the time just to be safe. That’s not what it says, though. 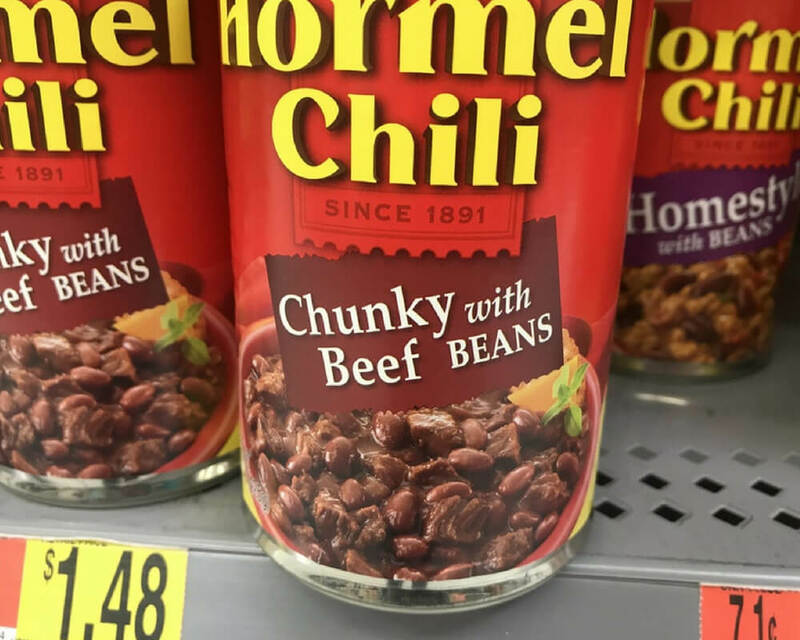 It says “chunky with beef beans.” Learn how to arrange your words. 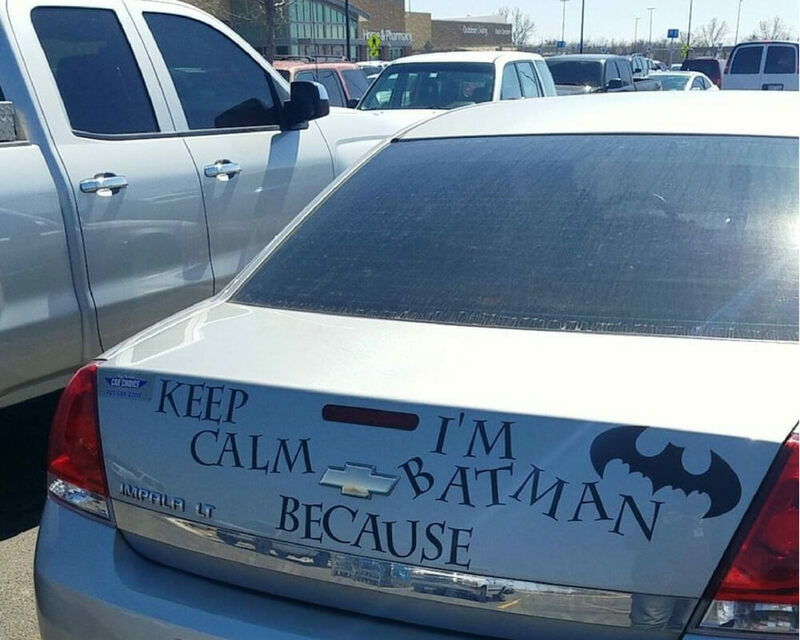 I read this as “keep I’m calm Batman because.” Now I just want to know why they’re Batman. This is clearly the work of The Riddler. Also, of course, this car would be in a Wal Mart parking lot. Maybe while they’re shopping for groceries, they could pick up some cleaning solution to get all of those jumbled letters off their car. 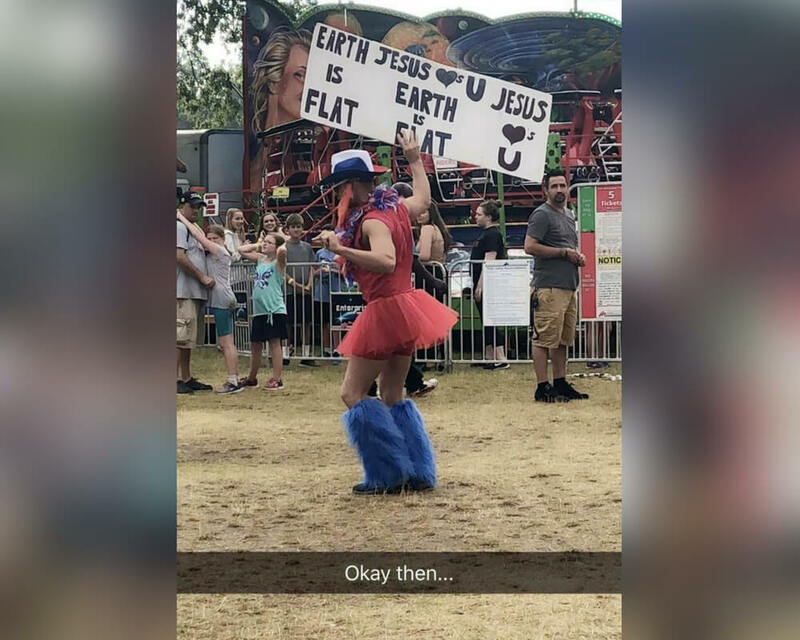 “Earth Jesus loves you. Jesus is earth loves flat flat.” That makes about as much sense as everything else on this list. This is exactly the kind of typography I’ve come to expect from flat earth theorists spreading the word of Jesus in a tutu and Cookie Monster shoes. FIrst of all, love is not all there is. There are some other things too. Bad typography is one of them. This makes absolutely no sense. Who thought this would be a good idea? Who is Lois? What does she have to do with veal? “I when reads love some one to me.” Yup, sounds about right. 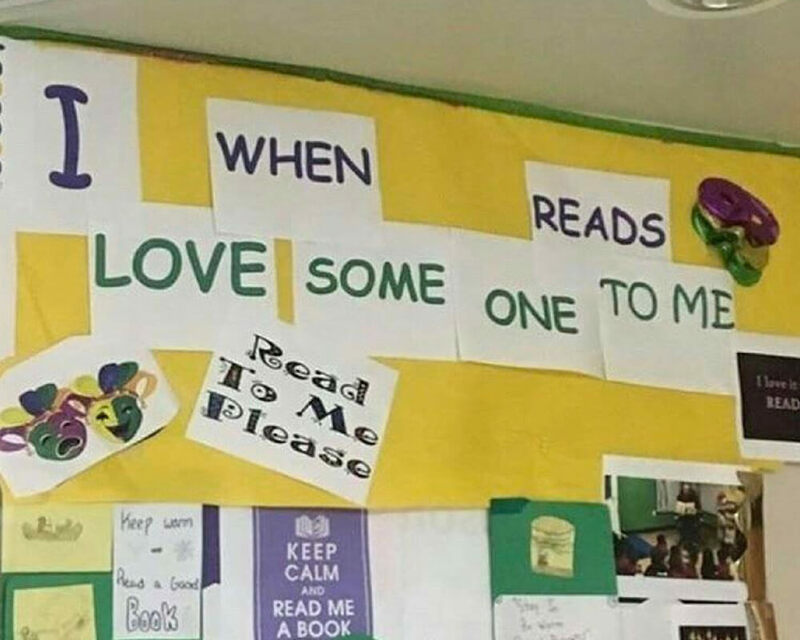 I also when reads love some one to me. This is a school for goodness sake. Let’s teach our children to read in a straight line. Teachers, I know there’s not much space on that bulletin board, but I expect a bit more effort on your part. 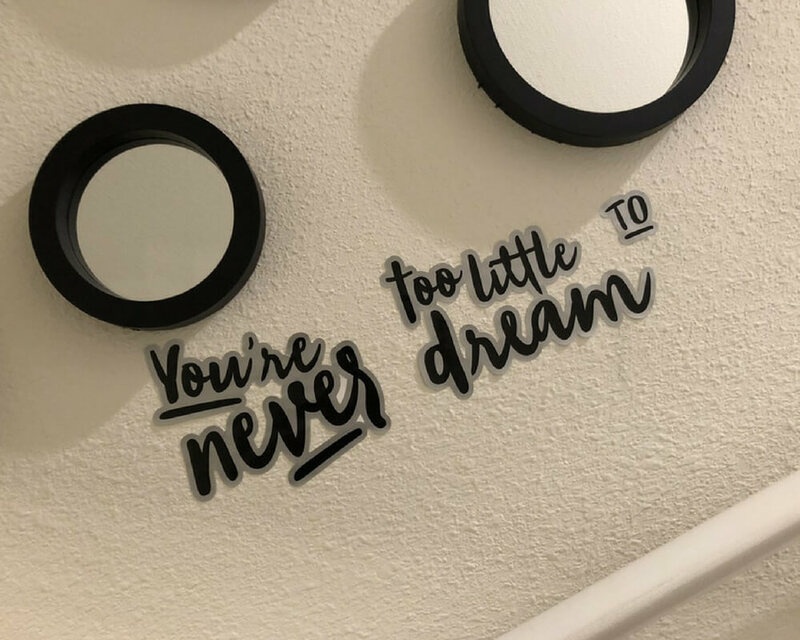 “You’re too little to never dream” basically means the same thing as “You’re never too little to dream.” One of those sentences just sounds way more normal than the other. I think I’m too little to understand these stickers. I’m not too little to never dream, though, whatever that means. I Don’t Know, Can It? 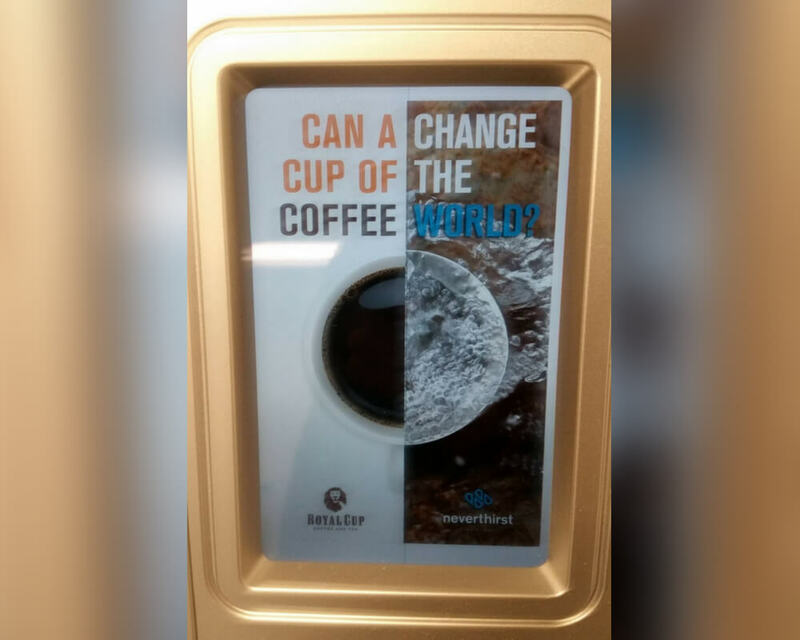 Can a change cup of the coffee world? Is “world” a verb in that sentence? Here’s what I know: a cup of coffee can’t really change the world unless by change the world you mean quench somebody’s thirst for coffee. This is an age-old marketing tactic, and it’s not even executed very well here. There is absolutely no reason for anybody to mess up this badly. In some of the other pictures on this list, typography mistakes happen because of a lack of space. I really didn’t know what was going on there for a second. What is a “bears sea?” Is it a sea of bears? Is it a sea that belongs to bears but somebody forgot an apostrophe? I get it now. 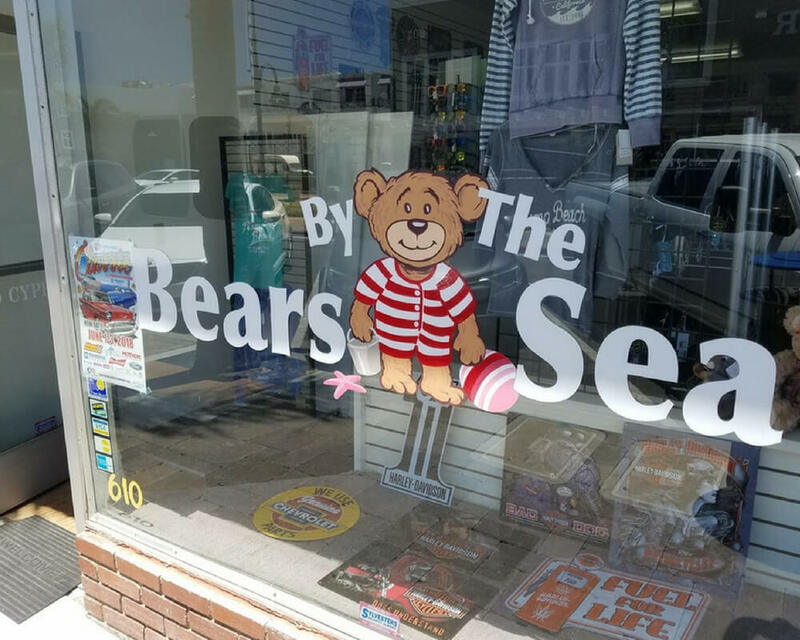 It’s supposed to read, “bears by the sea.” I bet nobody saw that the first time they looked at this store. Option 1: “We use never ever beef. 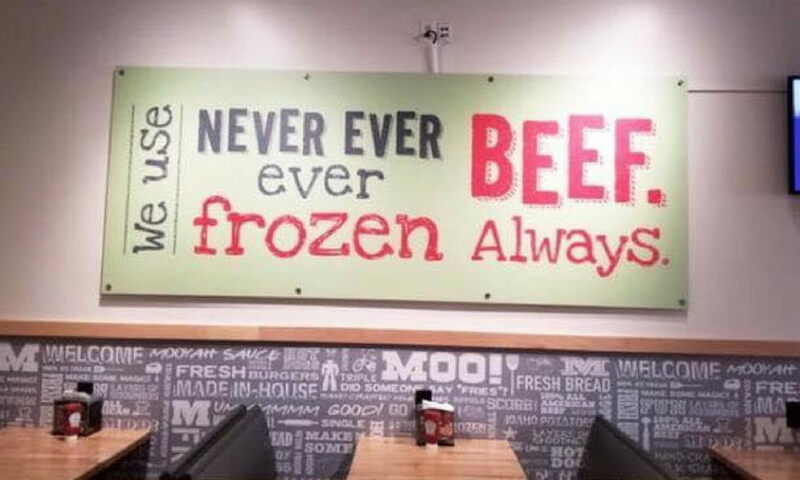 Frozen always.” Option 2: “We use never ever frozen beef. Always.” Neither of those options makes sense. 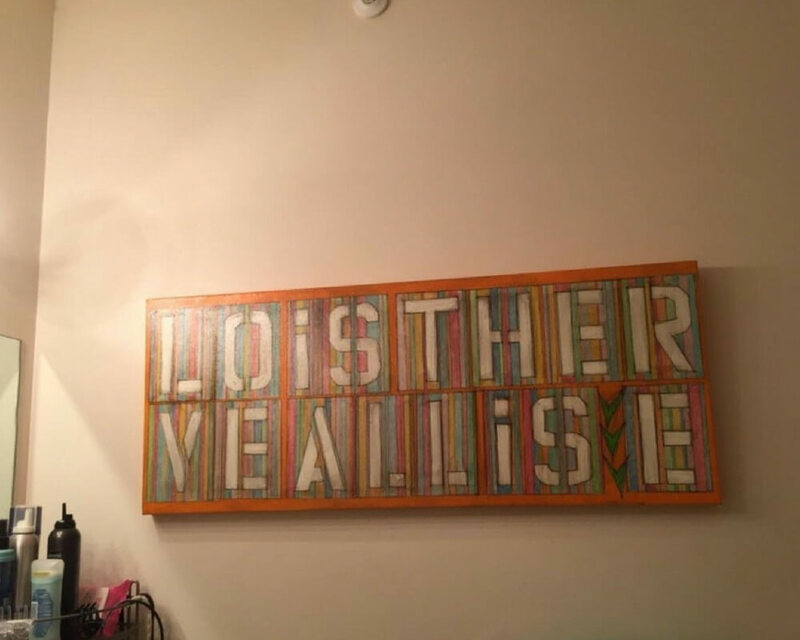 Who created this mess of a sign? There is literally no possible way to read this as coherent English. Is the beef frozen or not? 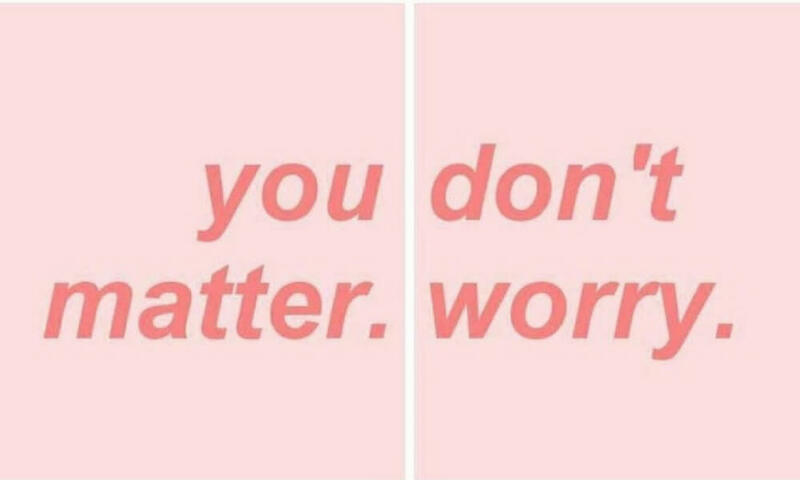 So… do I matter or do I not matter? Should I worry or should I not worry? Come on weird pink sign! Tell me how I should feel! I’m counting on you, we’re all counting on you! I think I’m more worried now than I was before I looked at this. Alright, it’s time to take note. This is how it’s done, people. There is no possible way to misread this sign. 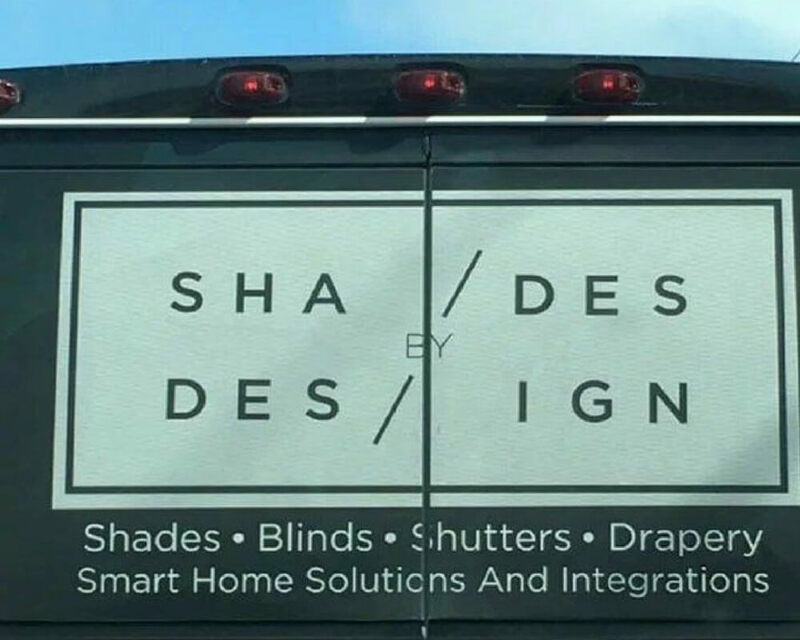 Bravo Shades By Design, you beat the system. You made text work vertically and horizontally, and for that, you deserve a round of applause.